Plans are in place to propose a way for the state of New Jersey to finally flee the controversy and entanglement of Common Core. The state's Education Commissioner, David C. Hespe, will unveil his plan on July 8th with the ultimate goal of getting rid of Common Core standards currently in place and instead, opting for a newer, less provocative set of standards created by the state of New Jersey. This move to replace the Common Core in the state of New Jersey was heavily influenced by New Jersey Governor and 2016 GOP candidate Chris Christie. In a move which some claim is inspired by the need to score political points amongst conservative primary voters, Christie recently came out against the standards. "The Common Core State Standards are a building block in our state's education system meant to ensure that teachers and districts can innovate within a framework of high expectations and accountability. They are based on the fundamental belief that every child in every classroom deserves an education that will properly equip them with the skills they need for college and a career. Our aggressive implementation of these standards in partnership with districts will ensure that our children have an education that will serve them well in the next stages of their lives." Christie's praise of Common Core didn't stop there, his support for the program even began to bother Republican constituents in 2013 when he hailed the efforts of President Obama and Education Secretary Arne Duncan: "We're doing Common Core in New Jersey, and we are going to continue. This is one of those areas where I have agreed more with the president than not and with (Education) Secretary (Arne) Duncan." 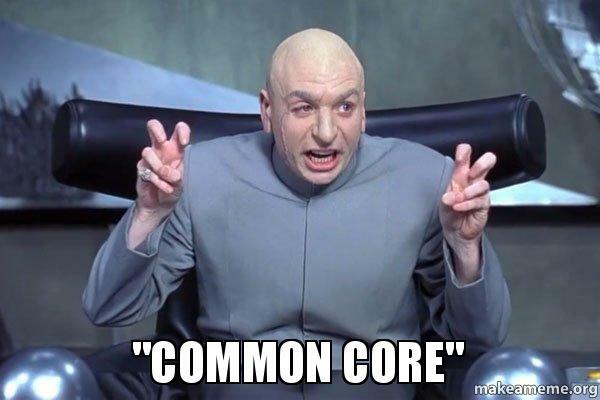 "It's now been five years since Common Core was adopted. And the truth is that it's simply not working. It has brought only confusion and frustration to our parents. And has brought distance between our teachers and the communities where they work. Instead of solving problems in our classrooms, it is creating new ones..."
As it currently stands in terms of the Common Core debate for the Republican contenders for the GOP nomination, former Governor Jeb Bush and John Kasich - who just cut funding for PARCC testing in his state of Ohio - have both been staunch defenders of program. Bobby Jindal, Mike Huckabee, Scott Walker, and recent addition to the "on the fence" pack, Chris Christie, have struggled to articulate where they truly stand on the issue.